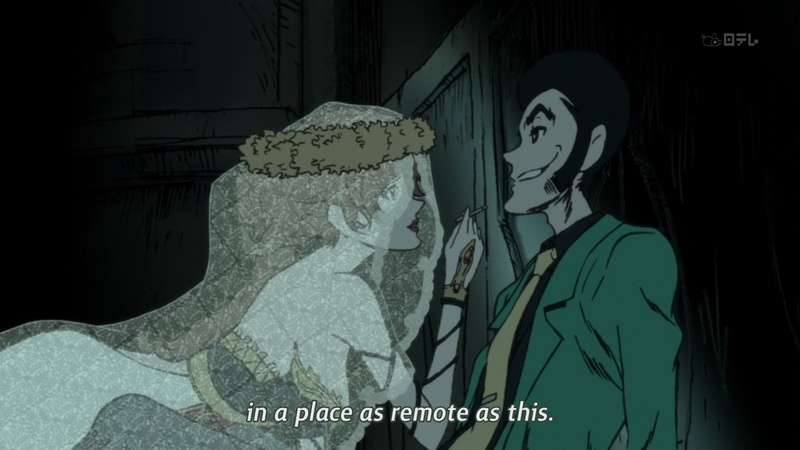 Let me first say that I've never seen anything from the Lupin series prior to this show. After watching the first two episodes, I can say that this is more fun to watch than a lot of the other anime airing this season. Though I don't really know anything about the series, it seems that this installment is some sort of prequel; after all, it shows Mine Fujiko meeting two members of the Lupin gang for the first time over the course of the first two episodes. The art certainly reminds me a lot of Redline, with character designs and animation director done by the same guy. Interestingly enough, the art director worked on K-On, Lucky Star, and the Haruhi series. It feels very stylized and looks good so far. There's a lot of Mine Fujiko fanservice, which is something I don't mind at all. Another thing that I'm loving is definitely the music. I don't think I've heard something quite like it since Baccano. All the main characters introduced thus far are very fun to watch. Since I really haven't seen much "older" anime, I'll have to compare these characters to its contemporaries. 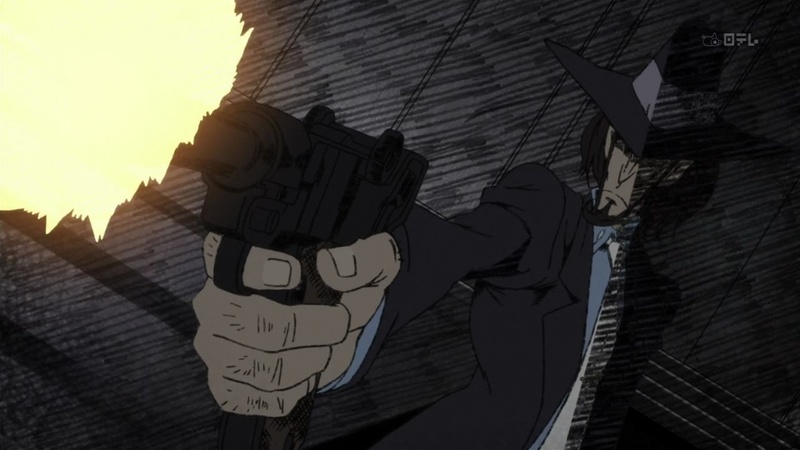 Mine, Lupin, and Jigen are all multidimensional unlike characters from a lot modern anime. I guess it sort of reminds me of Cowboy Bebop, in which characters all had pasts that they had to deal with. Overall, they seem like decent people despite being thieves. They look like they're more in it for the thrill than the spoils. Excluding the stock villain from the first episode, the Italian boss lady was fairly interesting. I'll have to wait and see how future antagonists stack up. Judging from the trend, I'd hazard a guess that Mine Fujiko will meet up with the final member of the Lupin gang in the next episode. A nice mix of comedy, action, and noir is certainly something refreshing to see. I'm definitely going to be following this show. Looking forward to next episode!